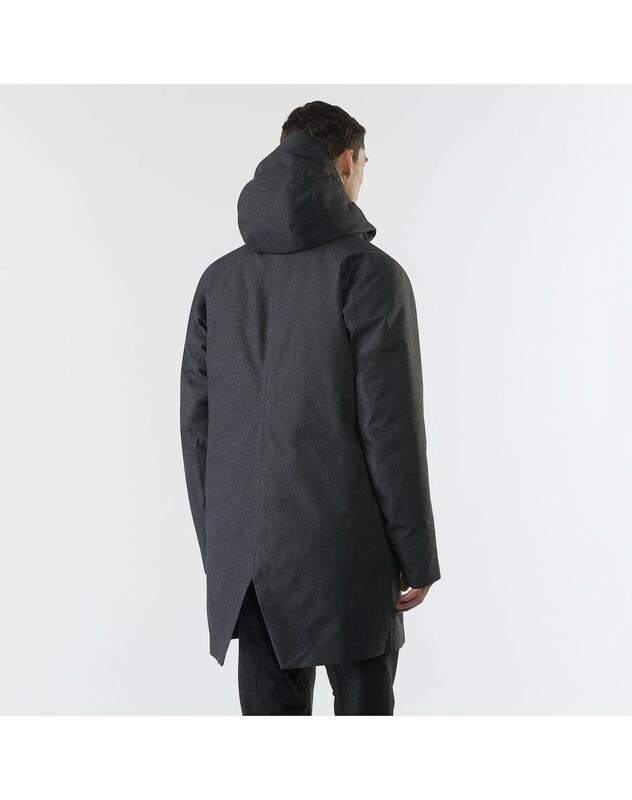 This Arc'Teryx Veilance Monitor Down TW Heather coat in Charcoal. 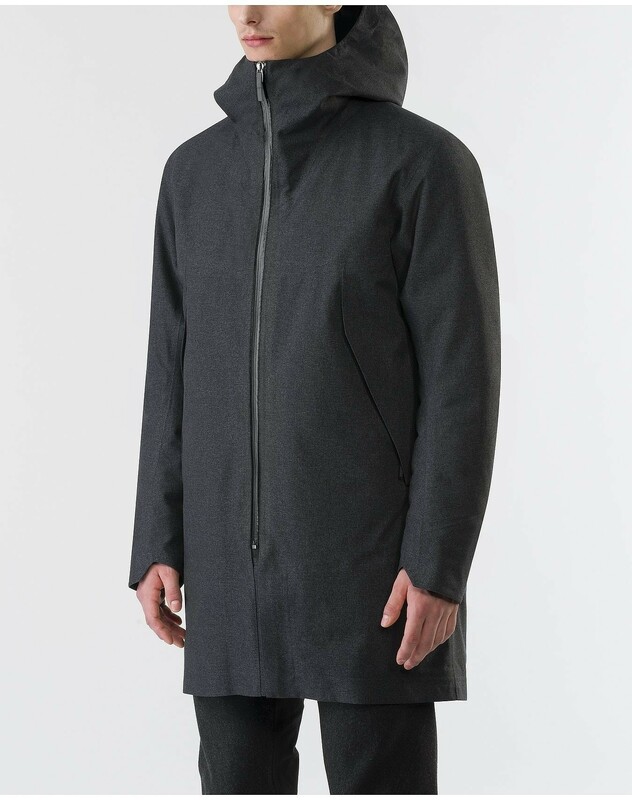 this TW Twill weave gore-tex textile is Down insulated, thigh-length coat with ample storage and an adjustable storm hood. 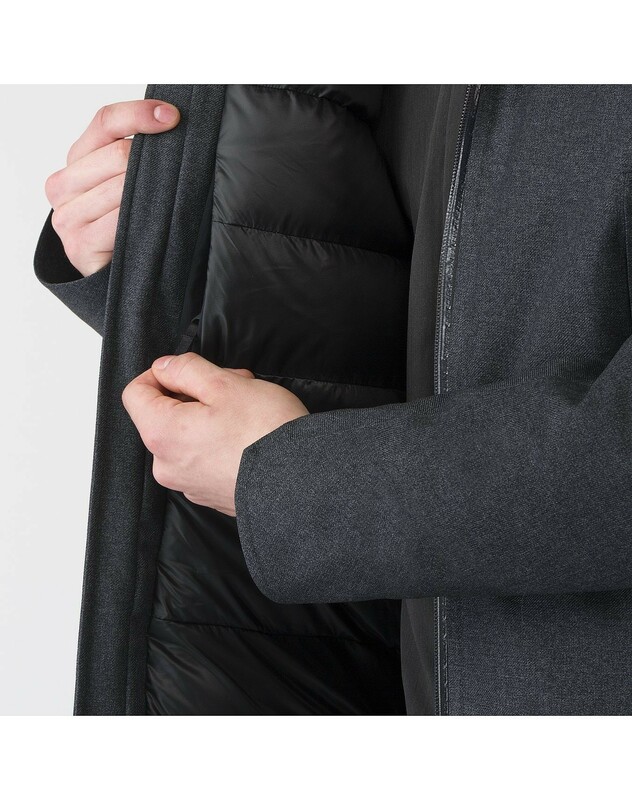 With it’s fully articulated shape, taped and laminated seams is one of the warmest in the range from Arc’Teryx Veilance. 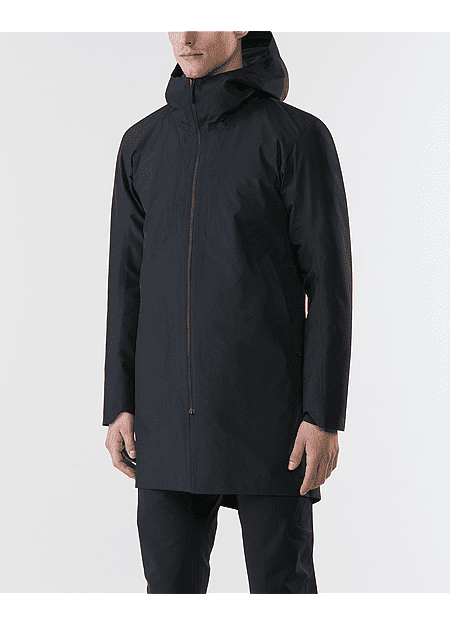 Passive warmer, with a waterproof, breathable 3L Gore-Tex twill woven poly face, and insulated hood. 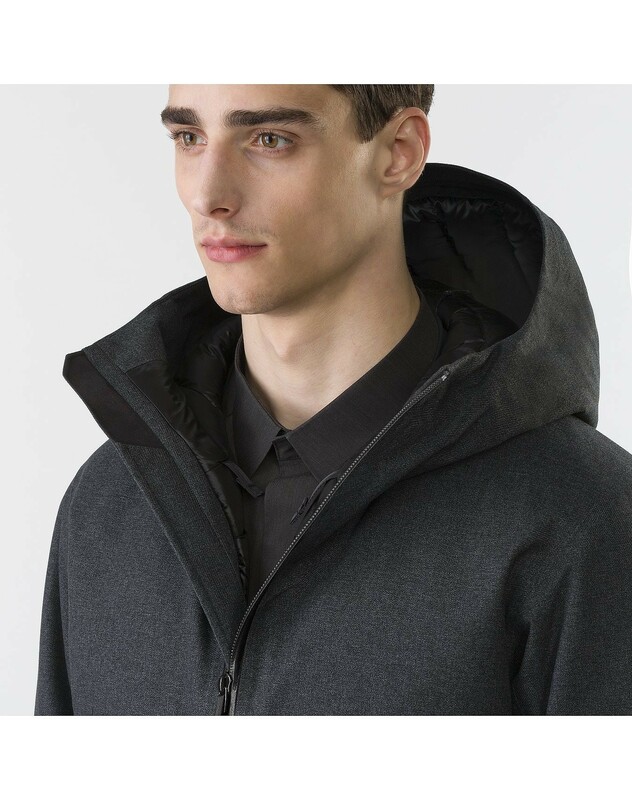 Front zip fastening , Notched rear vent, Two zip pockets on the inner, and two deep volume hand pockets with diagonal flap zipped pockets and a padded interior. 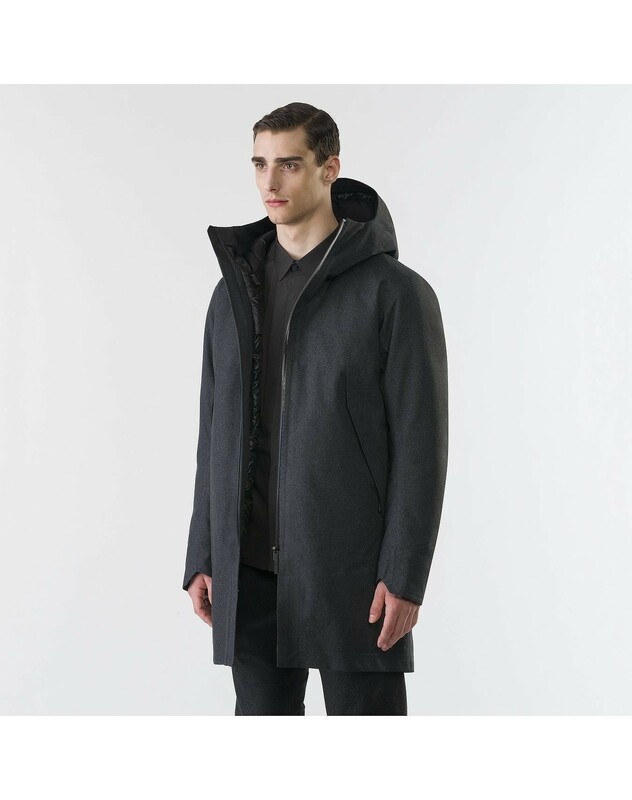 In Canada, Arc’teryx is a high-performance outdoor equipment brand known for its pioneering spirit and leading innovations in climbing, skiing and alpine technologies. 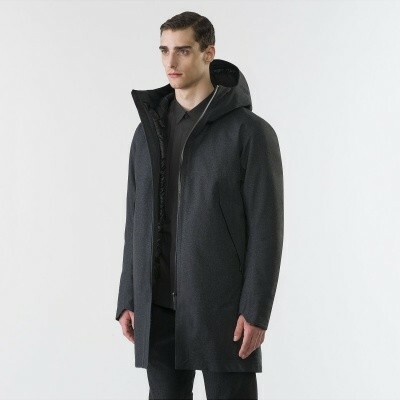 But with its classy designs and comfort, also worn by the savvy urban man. 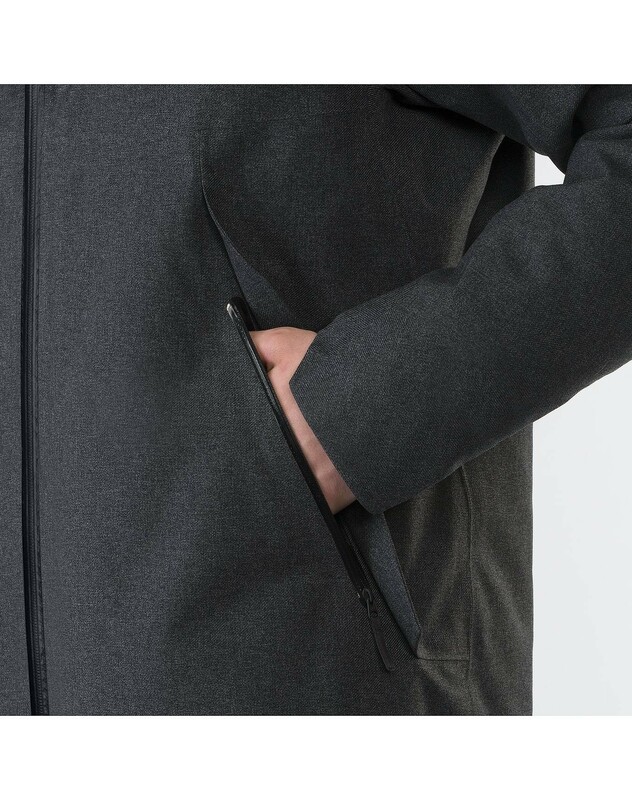 Pockets: Two high-volume hand pockets with zips, Chest pocket with hidden zip, two internal zippered pockets including 1 large document pocket. 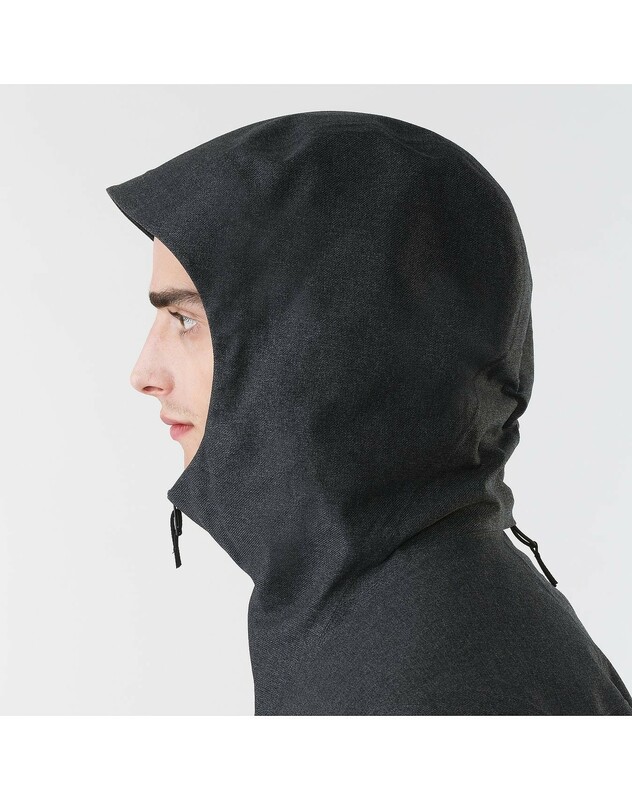 Care: Machine wash max 30°C, No fabric softener, tumble dry on low heat / using tennis balls, DO NOT iron.